We had such a blast with Shay Mitchell at our West 3rd St shop yesterday. What an all-around awesome person! How fun is this instagram video she made? I wear my sunglasses at night… ! Having wayyyy too much fun at my good friend Dan Deutsch's optical store! Check it out for some awesome glasses! @dandeutschoo ??? Shay, thanks for the visit and the insta-love. You rock! Photographer Polly Borland has an exceptional eye. It only makes sense that she wears exceptional eyewear. 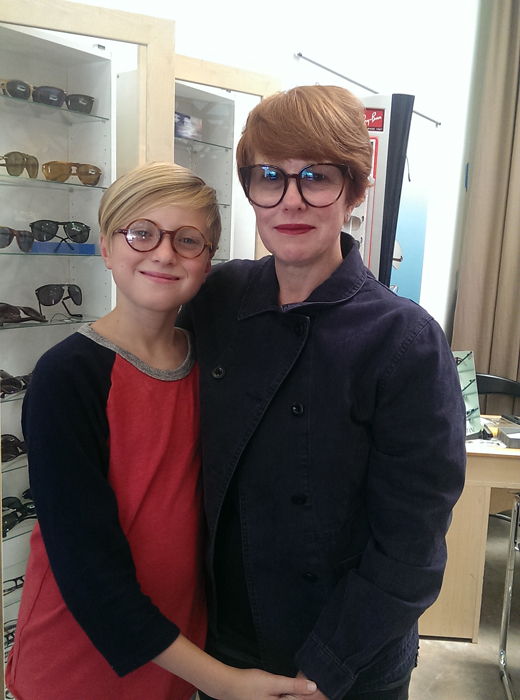 Here she is, pictured with her son Louie, at our West Third Street shop. For herself, Ms Borland selected tortoise Celines with a custom green, gradient tint.